Check out the new poster and the first trailer for Judy Moody and the NOT Bummer Summer, in which Judy (Jordana Beatty) sets out to have the most thrilling summer of her life with the help of her younger brother Stink (Parris Mosteller) and their fun-loving Aunt Opal (Heather Graham). The film is based on the popular children’s book series by Megan McDonald with illustrations by Peter H. Reynolds. There are nine adventures in the series and McDonald has penned a novel inspired by the film’s script which will be published on May 24, 2011. 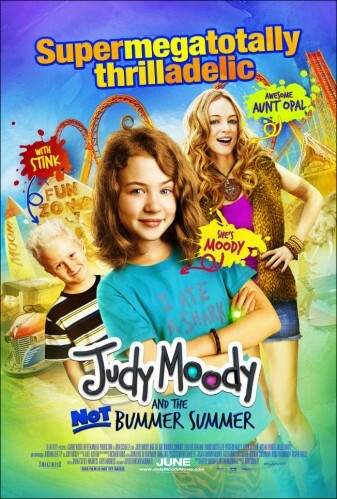 Judy Moody and the NOT Bummer Summer is a Relativity Media film and will be out in theaters on June 10, 2011.